I thought I’d keep the blog trend going on the King this week, as I find the job of parenting fascinating and utterly chock full of amusement (not to mention a whole host of other emotions and adjectives that I shall leave for another time. Why scare you on a Friday). There is an old adage that exclaims that 'parenting keeps you young'…or helps you revisit your youth…or is purely FOR the youth. I can never keep it straight and frankly, they all apply as far as I’m concerned. Needless to say, there are times when one is in the throes of parenting and finds oneself thrown back to one’s youth, whilst simultaneously feels old as hell. Yes, the juxtapositions of life never end. The problem with these places is a) they’re open to the public, and as most of you know, my feelings about the fray are fickle at best. So the OCD part of me enters it cautiously and has to tell herself to stop thinking about the things that are living on every conceivable surface of this place that could kill us both. But being as the goal of this whole exercise is to tire out the King, I’m somehow able to put above over my neuroses. (See, I’m evolving). The second problem is that the King is almost able to do everything by himself, but not quite. Which means that Mommy – that’s me – has to get on in there and assist him with whatever strikes his fancy. Now, this is in principle, I don’t have a problem with. 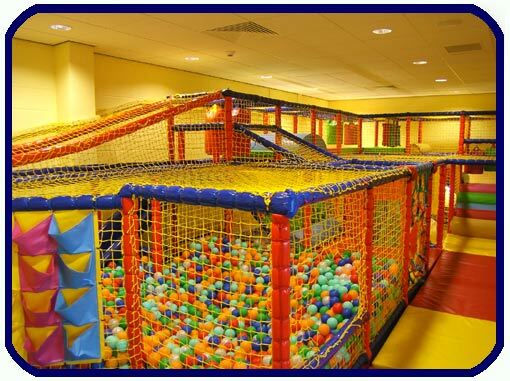 In fact, I love seeing his little face light up when he takes in the three stories of padded splendor that is soft play. The difficulty is that this place is built for little people (and I’m short, but not that short), really little people that bend – and don’t crack – squish and can slide through itty bitty areas without feeling like they need hip replacement surgery...and then there’s me. Despite thinking I’m quite fit and flexible, there is nothing more sobering than trying to squeeze through two rubber roller things with about a six-inch gap in between so that you can keep up with your child who is twenty feet ahead of you. In fact, I’m gathering I look downright hysterical as I squeeze my head and body through this minute space landing face first on the mat on the other side. The King always bursts out laughing when he watches me do this so I take that as a yes. Then there is the sheer pace at which the King likes to go through this rubber maze. Up, down, through, under, over…the child is insatiable and doesn’t realize that his mother drags behind him, huffing and puffing like some tired bag of bones chanting the mantra, 'I am young damn it, I am young!' And the worst part is, I’m usually never dressed in the right way (I never plan to go to soft play as I have to just spring it on myself in order to get me in the building) so my skirt is pushed up to my neck, or my shirt almost garrotes me, or my hair gets caught in the rope swing. It’s not a pretty sight, I assure you. But as I've mentioned, soft play is the best sleep aid out there and that is tantamount…and the King sleeps pretty well afterwards as well.